24 Teams From Across the U.S. Advance to National Competition in Washington, D.C.
FALLS CHURCH, Va., Feb. 13, 2012 -- Northrop Grumman Foundation, the presenting sponsor for CyberPatriot IV, congratulates the 24 teams from across the country that have successfully battled three rounds of virtual competition to advance to the national finals showdown, to be held in Washington, D.C., on March 23. CyberPatriot, established by the Air Force Association, is the nation's largest and fastest growing high school cyber defense competition created to inspire high school students toward careers in cybersecurity or other science, technology, engineering and mathematics (STEM) disciplines critical to our nation's future. "The Northrop Grumman Foundation is very proud to partner with the Air Force Association and be the presenting sponsor of CyberPatriot IV. It is so exciting to watch these talented and motivated high school students succeed in solving cybersecurity problems similar to what we face in today's world," said Sandra Evers-Manly, vice president of corporate responsibility and president of the Northrop Grumman Foundation. "The company, the Foundation and our employees share a mission to help improve the quality of science, technology, engineering and mathematics education from early grades through the university level. The CyberPatriot program is a wonderful example of how we can reach out into our local schools to teach and inspire young people." In its second year as the presenting sponsor, the Northrop Grumman Foundation and Northrop Grumman have invested time, talent and resources to assist in coaching teams and mentoring students. 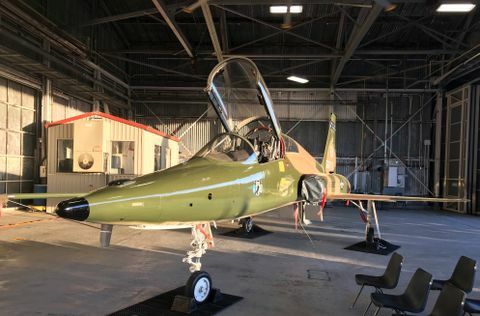 Northrop Grumman will also donate $56,000 in scholarship funds to the winning teams and provide internship opportunities for CyberPatriot competitors. The company's involvement in CyberPatriot has and will continue to contribute to building a talent base in the cybersecurity field to enable the country's future cyber protection. "With the dearth of cyber talent in the United States, programs such as CyberPatriot are essential to filling the gap and building excitement around this career path," said Diane Miller, Northrop Grumman Program director for CyberPatriot. "Through scholarships and internships at Northrop Grumman, we're helping students get a jumpstart in this field and build the pipeline of qualified cyber pros. The CyberPatriot students are so impressive, exhibiting the critical thinking, leadership and teamwork skills that will be instrumental to their success as a future cyber defender." "CyberPatriot is focused squarely on addressing a national imperative: Addressing the critical shortage of young men and young women pursuing studies in science technology, engineering, and mathematics. 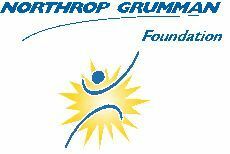 With the generous support of our presenting sponsor, the Northrop Grumman Foundation, we are doing just that. 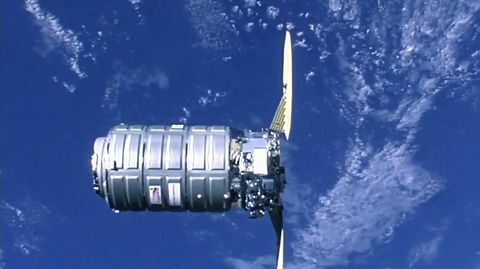 Young people are discovering and exploring STEM in an exciting competition, and they are learning," said Bernie Skoch, CyberPatriot commissioner, Air Force Association. Students will take an all-expenses-paid trip to the Gaylord National Hotel & Convention Center at National Harbor, across the Potomac River from Washington, D.C., where teams will compete face-to-face in a one-day competition to defend virtual networks from a professional aggressor team. The CyberPatriot IV competition started in October 2011 with 1,014 student teams registered representing all 50 states, U.S. Department of Defense Dependent Schools in Europe and the Pacific, and Canada. By the semifinal round, 75 teams competed for a chance to be among the 24 that would advance to the national finals on March 23. For more information on the competition, go to www.uscyberpatriot.org . John R. Rogers High School, Air Force JROTC, Spokane, Wash.
Colorado Springs Cadet Squadron, Civil Air Patrol, Colorado Springs, Colo.
Springville Composite Squadron, Civil Air Patrol, Ashville, Ala.
La Cueva High School, Marine Corps JROTC, Albuquerque, N.M.
Montachusett Regional Vocational High School, Marine Corps JROTC, Fitchburg, Mass. L.A. Unified School District Reseda High School, Navy JROTC, Reseda, Calif.
South Aiken High School, Navy JROTC, Aiken, S.C.
Joel E. Ferris High School, Spokane, Wash.
John R. Rogers High School, Team 1, Spokane, Wash.
John R. Rogers High School, Team 2, Spokane, Wash.
John R. Rogers High School, Team 3, Spokane, Wash.
Lewis and Clark High School, Spokane, Wash.
North Central High School, Spokane, Wash.
Marshall Academy, Falls Church, Va.
Monroe Career and Technical Institute, Bartonsville, Pa.
Palos Verdes Peninsula High School, Rolling Hills Estates, Calif.
As the leading provider of cybersecurity solutions to the Department of Defense, intelligence community and civilian agencies, Northrop Grumman is committed to grooming tomorrow's cyber workforce and is engaged in supporting cybersecurity education, training and technology. In addition to CyberPatriot, the company sponsors the Mid-Atlantic Collegiate Cyber Defense Competition and the National Collegiate Cyber Defense Competition; is a corporate partner with Cyber Watch; has formed a Cybersecurity Research Consortium, an industry/academia partnership designed to address the cybersecurity challenges of the future; and has partnered with the University of Maryland Baltimore County Research Park Corporation to create a pipeline for new cybersecurity technologies.